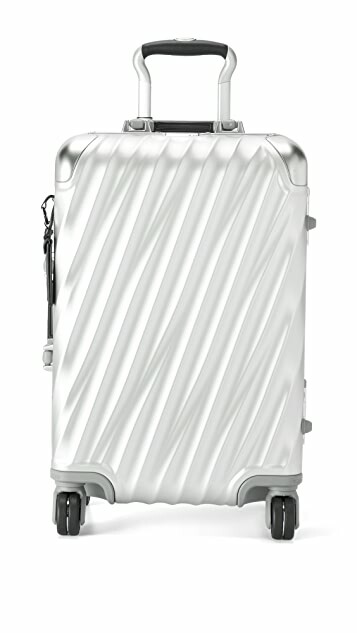 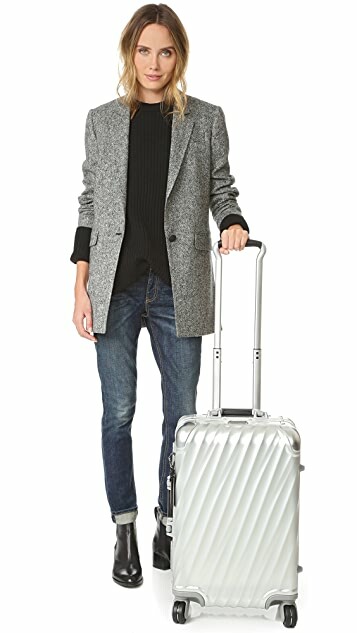 A travel-ready Tumi carry-on suitcase in sturdy aluminum. 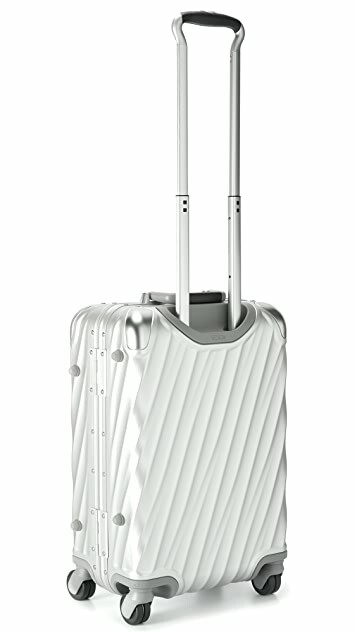 4 bottom wheels and a retractable handle provide easy transport. 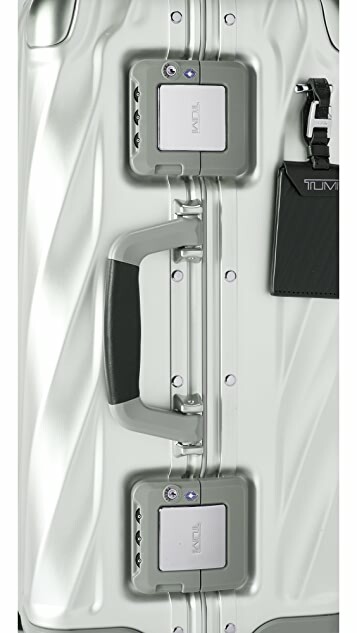 The 2-way wraparound zip secures to a combination lock. 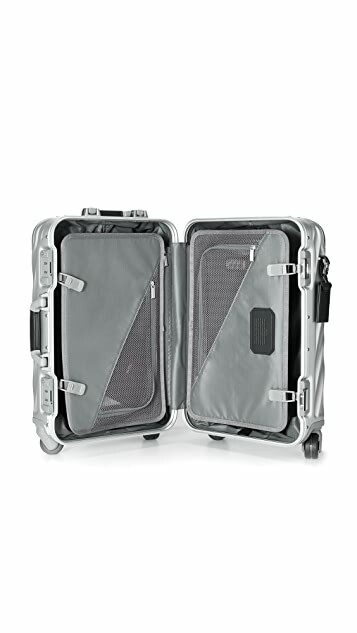 Lined interior with 3 pockets and adjustable clothing straps.